Well, we have a lot to unpack here at PlagueGirl. First off, food is no longer safe to eat. This should have been obvious to everyone with the deadly listeria outbreak in cantaloupe and the E.coli outbreaks that have been linked to cookie dough, beef and spinach, just to mention a few. Recently, seemingly innocent bags of frozen berries have been linked to an outbreak of Hepatitis A. At this point, some people expect their meat to have mad cow or E.coli or some sort of contamination, but their healthy bags of frozen berries?! (On another personal note, I recently invested in a blender and have been making tons of delicious smoothies. But like I said, I live dangerously.) Click here for more info on Hepatitis A. Next on our list of contaminated foods is CHEESE. CHEESE! Cheese is both delicious and no stranger to contamination. A recent outbreak of listeria has been linked to cheese sold at Whole Foods stores. So far, it has been associated with the death of one person and the possible miscarriage of a pregnant woman. Click here for more info on Listeria. Upcoming on PlagueGirl: Coronavirus, Valley Fever, and whatever the next food-borne illness may be! Weekly Outbreak Update From PlagueGirl! Cantaloupes and the Listeria Outbreak: According to the CDC the current Listeria outbreak has resulted in 23 deaths so far. IT is the deadliest known outbreak of foodborne illness in the USA in more than 25 years. A total of 116 people have been sickened and more outbreaks are expected. Symptoms may take up to 2 months to develop. In the “Cantaloupe Center of the World,” hundreds of workers have been laid off. Now even safe cantaloupes aren’t selling. In California, where the season is nearly over, many growers are thinking about abandoning their fields. 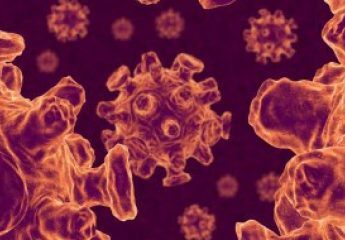 Swine Flu in Nicaragua: Thirty-two people have been infected with the H1N1 virus, all of them either in stable condition or discharged. The media is assuring people there is no need for alarm. Not yet, anyway. The Seals Aren’t Safe: A mysterious outbreak among seals in Arctic Alaska. Hundreds of seals have been seen with mangy hair and skin lesions, and half of them have been found dead. Reports of nearly 150 other seals with the illness have come in from surrounding villages. Feral Cats and Rabies: In Bay County, Florida, 5 animals have been diagnosed with rabies this year. A feral cat in the area was observed acting strangely and officials have since set up a trapping program. More than 30 cats have been trapped and euthanized because of their proximity to the rabid cat. People are being advised to not approach animals acting strangely. More about rabies, if you’re curious.